David Lee Draper of Shelter Island, at the age of 72, passed away at Eastern Long Island Hospital under the care of East End Hospice on Wednesday, May 8, 2013. David had been a Reporter proofreader but was best known as the paper’s puzzle master, creating crossword and other intriguing puzzles with an emphasis on Island life. David was born in Denver, Colorado on April 18, 1941. He spent his childhood mostly in and around Independence, Missouri as well as many years of travels to Australia with his parents and siblings. He graduated from William Chrisman High School in 1957 in Independence and later Central Missouri State College in 1962 where he received a bachelor’s degree in education. He taught middle school social studies in Elizabeth, New Jersey for many years and completed post graduate studies at Syracuse University where he became supervisor of student teachers in 1970. In 1971, he found an executive position as an inventory and marketing administrator at Stromberg-Carlson Corp. in Rochester, New York. In 1973, David met and married his wife of 40 years, Gail Golder, and started a family. When the company moved to Tampa, Florida in 1978, David and Gail moved the family to Brandon, Florida, where they established their home with their three children. As the children grew and Gail went back to work, David started working from home as a small business financial and IT consultant as owner of Professional Services. He worked in Gail’s printing business as a bookkeeper and pressman for many years until Gail’s illness required him to be home to assist in her care. In 2007, David and Gail moved to Shelter Island to be near their daughter Lee and son-in-law Jim, who grew up on Shelter Island, and David quickly became integrated into the community. 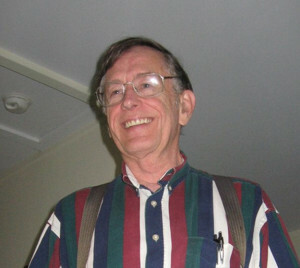 His love of history and devotion to the preservation of Island history quickly brought him to some of his favorite places such as the Shelter Island Library, Historical Society and Sylvester Manor, where he began to volunteer countless hours with each organization, assisting in cataloging and transcribing key historical records, documents and books. David was predeceased by wife Gail on March 1, 2013. He is survived by his eldest son Jeffrey of San Antonio, Texas, daughter Lee, formerly of Shelter Island, and son Charles of Lakeland, Florida; and three grandchildren: David Oliver, Astin Draper and Alexandra Draper. David will be remembered by those who knew him for his passion and his abilities to preserve what is great in this world, his devotion to his family and his unfaltering love and understanding. No formal arrangements are planned. Mass was said by Father Peter DeSanctis at his bedside. The family asks that those who wish to remember him, do so with contributions to the Shelter Island Ambulance Corps or East End Hospice, both of which took extraordinary care of him. The Shelter Island Reporter took top honors in the Best Editorial Page competition at the New York Press Association. The TimesReview Newsgroup — the Reporter, Suffolk Times and News-Review — was also acknowledged by the association, placing third among the top groups or newspaper chains in the state. Awards were presented at the Association’s spring convention this weekend at the Gideon Putnam Resort and Spa in Saratoga Springs. NYPA’s entries were judged by the North Carolina Press Association, just as NYPA members volunteer to judge other states’ entries in their competitions. The paper won a first place award for best color ad created by a newspaper. “Excellent example of letting the picture tell the story,” the judges said. • Reporter Archer Brown won a third place award for coverage of the arts. “Wow! We loved the descriptive manner of this coverage — wonderful feel,” the judges said. • The Reporter placed third in the overall design excellence category. “Excellent use of photos. Nice typography. The visuals of this newspaper really help reflect the community it covers,” the judges said.